Healthy vegetables means different things for different people. You need to look at the ingredients and know whats good for you. Potatoes, corn and Vegetables having a high Glycemic Index (GI) should always be avoided as they will shut down your fat burning process. When you eat potatoes the result is that your blood sugar levels will go up and there will be a demand for more insulin. The result is that your body's ability to burn fat decreases and some of the potatoes will reside as fat in you making you gradually put on weight. So avoid potatoes, corn, baby corn at all costs. Avoid them even if you don't exercise and you will feel healthier in no time. Its these small changes which make a difference. We have taken great care in the selection of these vegetables. All of them are made with great quality of vegetables and a complete avoidance of extra sugar, cornflour, maida, potatoes, pasta, milk, corn in these recipes. 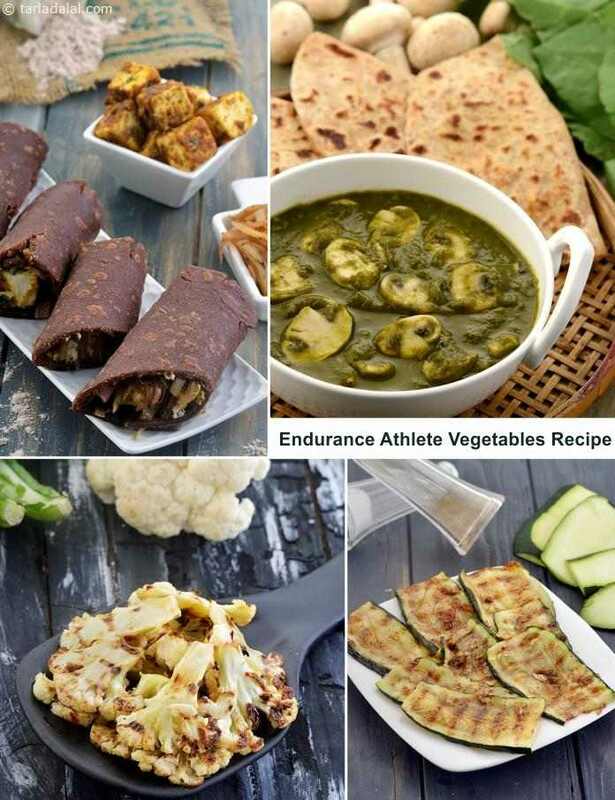 If your in good shape and exercise regularly, then all these recipes are perfect for you. If you have extra weight or wanting to cut your weight then replace full fat paneer with low fat paneer or where possible use low fat ingredients. These recipes will work for you and make you feel healthier in no time. It’s crucial to start the day with some good Athletes, Triathlete Smoothies, Juices, Drinks Recipes. Thanks for your healthy list of vegetables. Healthy, tasty and well thought off. Grilled Baingan is fab.